AMD has this week revealed it has created a new virtual reality camera specifically for the Indian film industry and Arka Mediaworks. 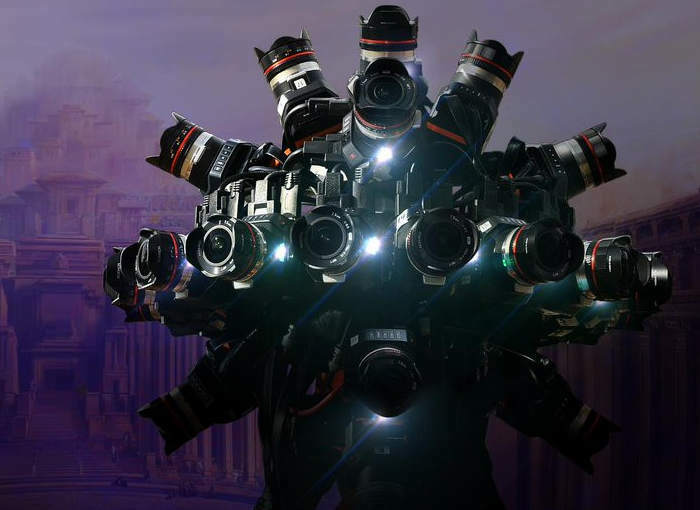 The news was revealed at this year’s Mumbai Film Festival held last week and AMD and Arka Mediaworks have been working together to develop the new VR camera. Arka Mediaworks is hoping to use a camera to film the Baahubali 2: The Conclusion in 360-degree virtual reality although the primary version will also be available in 2D with each scene of the film process additionally producing 360 degree virtual reality. AMD is separately pushing for virtual reality in Indian cinemas, so the VR experience of “Baahubali 2: The Conclusion” could be exhibited to the masses. At the core of this plan is the new 360 virtual reality camera rig which has been custom-built by AMD, called the BB360. The BB360 VR camera combines 24 ultra high-resolution cameras that combine footage and send it to a workstation with production hardware and VR mastering software also made by AMD. AMD says that the BB360 is the most advanced VR camera rig ever built, and makes its production debut with “Baahubali 2: The Conclusion,” due for spring 2017.